Project HELP will be the foremost resource for developing competent, nurturing parents. As a mission-driven organization, our board of directors and staff are passionate and committed to improving the lives of children and families. We work continuously to identify and incorporate appropriate best practice methods into our program design to make the biggest impact in the community. 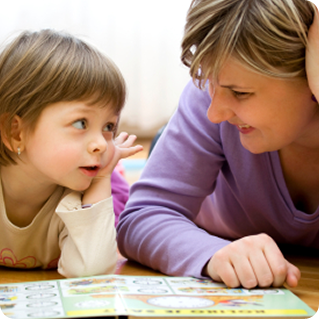 Our Parent Mentor Program is a nationally recognized parenting and family-strengthening program for ALL families. PMP is an evidenced-based, home-visitation program found to help parents improve their understanding of child development, parent more effectively, improve their ability to identify and manage situational stress, strengthen their social support networks, and increase their ability to identify, find, and access services to meet their family’s basic needs. Our Parent Education Program uses the evidence-based Active Parenting 4th Edition and First Five Years curriculum developed by Active Parenting Publishers Inc. Through the workshops, parents will develop more appropriate expectations for their children, learn how to teach children with empathy, how to respond to and effectively manage their child’s behavior and how to provide opportunities for children to grow through mistakes. Our ability to implement programs that improve the lives of children and families is made possible by the continual support and efforts of the The Exchange Club of Naperville; and donations from individuals, businesses, and service clubs. Project HELP’s history begins with the Exchange Club of Naperville in 1992. Understanding the inherent challenges of parenting children, members of the Exchange Club established Project HELP as a non-profit organization in an effort to help parents achieve better parenting skills. Project HELP, accredited by the National Exchange Club, now serves as a model for a national network of Exchange Club Centers that span 81 locations in 28 states. As a mission-driven organization, the Board of Directors and staff are passionate and committed to enhancing the lives of children and families. Peggy McGuire, Project HELP’s executive director, has dedicated the past 29 years to her mission of strengthening families and the communities in which they live. Project HELP works continuously to provide quality services designed to empower parents with the resources necessary to provide for their children’s health and well-being. Watch this video from Naperville’s news station, NCTV17. This is an interview with Shelley Bromberek-Lambert and Peggy McGuire. They discuss Project HELP, the YWCA Metropolitan Chicago, our partnership and the significant impact it makes on the families we serve. Project HELP and YWCA Metropolitan Chicago have a long history of collaborating to meet the needs of families in DuPage County and the surrounding areas. As a strategy to better serve families of metropolitan Chicago, effective September 16, 2017, Project HELP has become a program offering of YWCA Metropolitan Chicago. Project HELP’s services complement YWCA Metropolitan Chicago’s current Young Parents Program which serves the south side of Chicago through home visiting and group services that promote healthy attachment and positive relationships between teen parents and their children. This program expansion allows Project HELP to increase its impact and serve more families by leveraging the strong infrastructure of the YWCA. Project HELP will also be able to provide increased support by connecting families with additional services offered by the YWCA such as the Child Care Assistance Program, Career and Business Services, Sexual Assault Support Services and youth STEAM programming. The expansion also allows YWCA Chicago to broaden its footprint and services for families in the western suburbs. Project HELP’s current staff will continue to serve the program as employees of YWCA Metropolitan Chicago and will be led by Peggy McGuire who will transition to a new role as the YWCA’s Director of Project HELP, Child & Family Development. Project HELP is guided by the Strengthening Families framework and strives to integrate the strengthening factors approach into our programs and practice. The strengthening families approach is grounded in research and benefits ALL families. It builds on family strengths, bolsters family resilience, and promotes better outcomes for children. Our ability to implement evidence-based programs that enhance the lives of children and families is made possible by the continual support of the Exchange Club of Naperville, and donations from individuals, businesses, and service clubs. HELP us to Empower Parents, Nurture Families and Strengthen our Communities! Please Contact Us for more information about our programs, volunteer opportunities, or to make a donation.